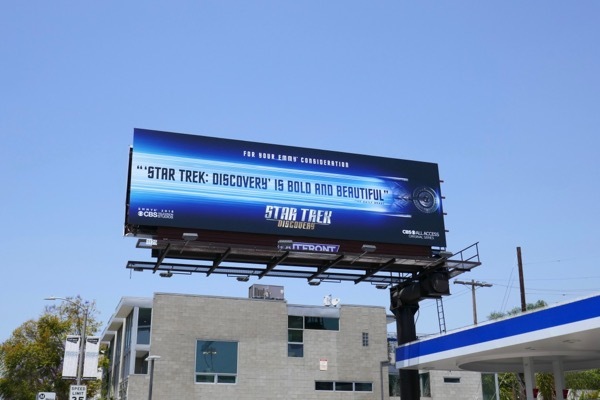 This September it's time to boldly go where sci-fi lovers have ventured before with a brand new iteration of Gene Roddenberry's legendary franchise, Star Trek: Discovery. 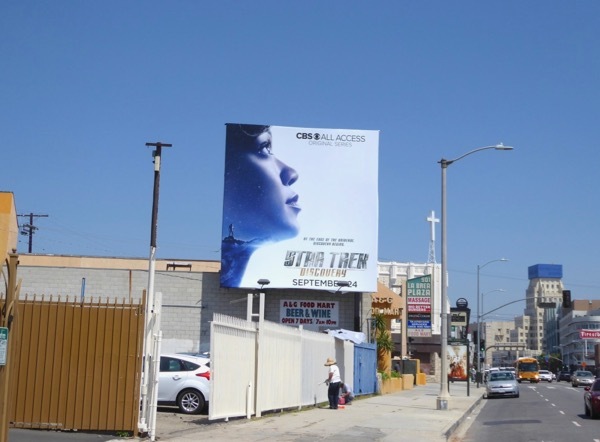 J. J. Abrams rebooted the Star Trek cinematic universe in 2009 and now it's finally time for another TV show to take flight and inspire another generation of dreamers following the end of Enterprise in 2005. 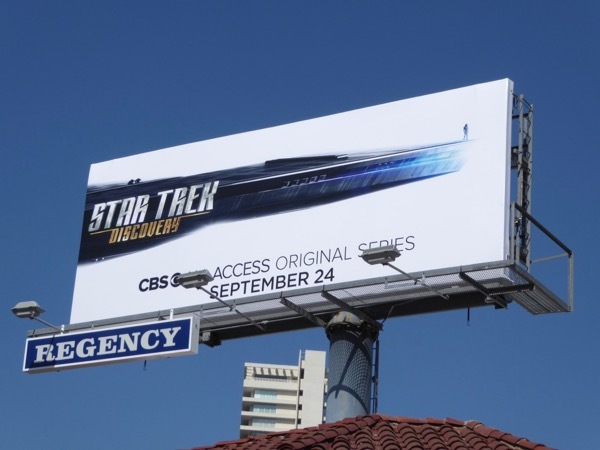 The USS Discovery has a new mission, and not just to attract subscribers to CBS All Access the network's streaming platform, it's to offer something new and exciting and yet still please longtime fans. 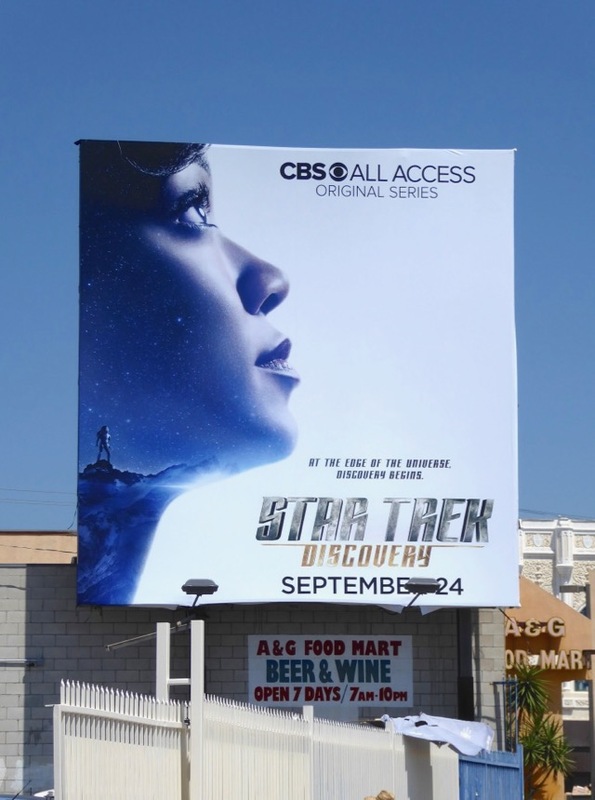 Set ten years before the likes of 'Captain Kirk' and 'Spock', STD (they really didn't think that acronym though did they) will feature The Walking Dead's Sonequa Martin-Green as Trek's first female black lead, but not as Captain, from a different perspective as an ambitious first officer named 'Michael Burnham'. 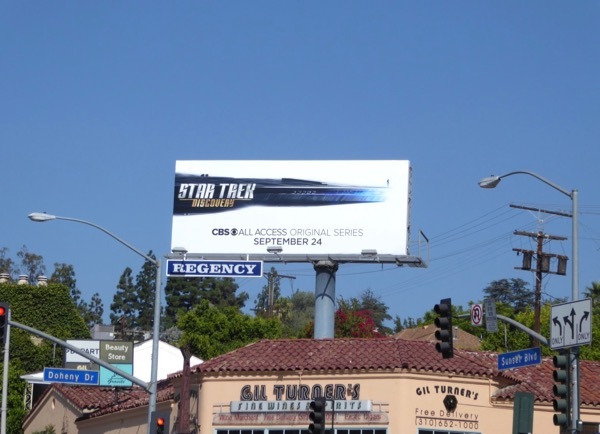 The show features fan-favourite Vulcans and Klingons, will have its first opening gay crew members, will have conflict aboard the Federation starship and will be serialised as a point of difference to previous episodic incarnations. 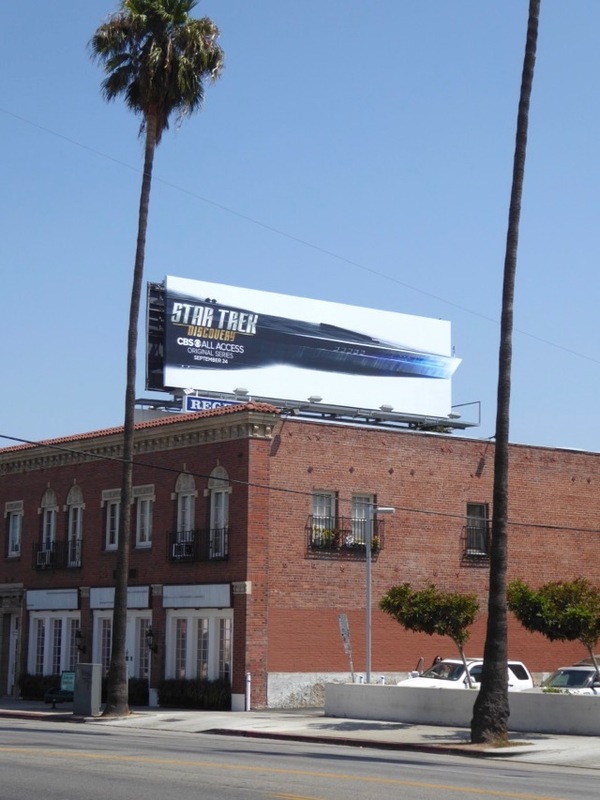 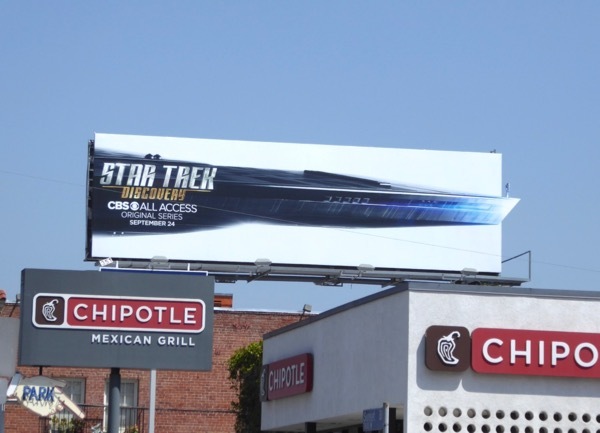 These billboards for Star Trek: Discovery really give you the sense of reaching for the stars, especially the cool special extension cut-out version, and were snapped along Sunset Boulevard, La Brea Avenue, Westwood Boulevard and Bundy Drive from August 19 to August 26, 2017. 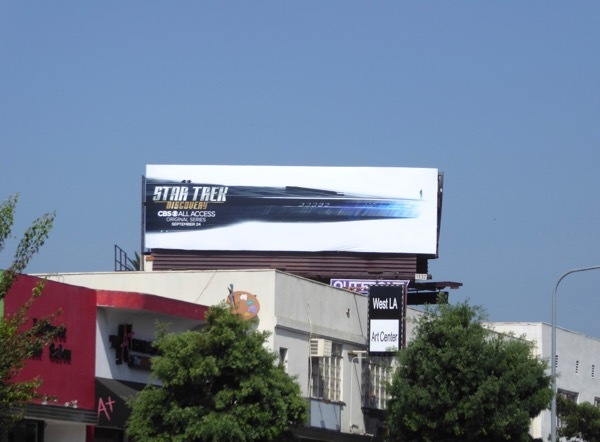 Meanwhile fans of the spacefaring franchise can also enjoy these Star Trek movie billboards filling the city skyline in recent years. 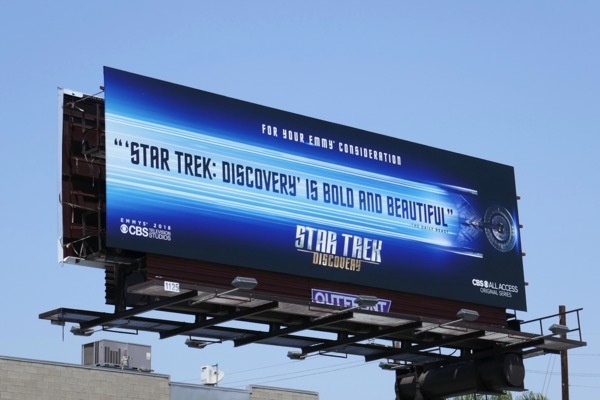 Let's hope this new journey of discovery can explore not only new worlds and aliens, but also concepts and storylines that will re-energise the Star Trek universe and make audiences want to beam the show into their homes. 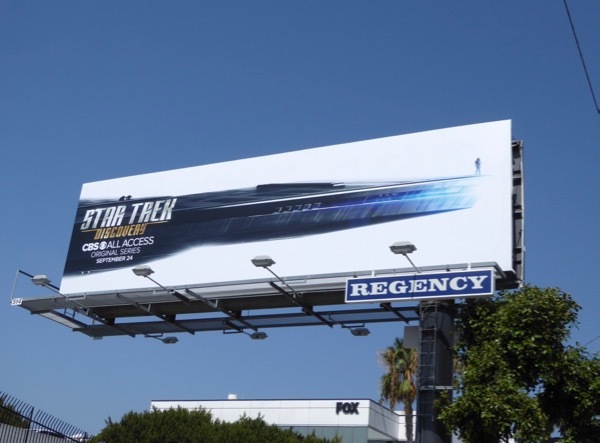 UPDATED: After their debut season of boldly going, here's an Emmy consideration billboard for Star Trek: Discovery. 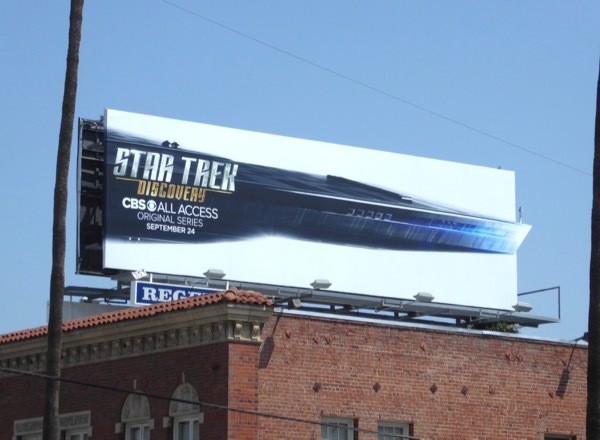 This CBS All Access FYC billboard was spotted along Melrose Avenue at Highland Avenue on June 7, 2018.